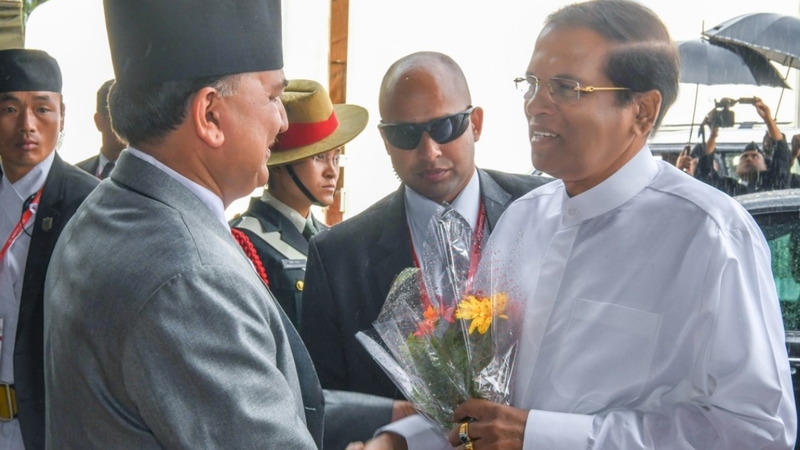 President Maithripala Sirisena, who left for Nepal to attend the 4th Summit of the Bay of Bengal Initiative for Multi-Sectoral Technical and Economic Cooperation (BIMSTEC) arrived at the Tribhuvan International Airport in Kathmandu, today (29). 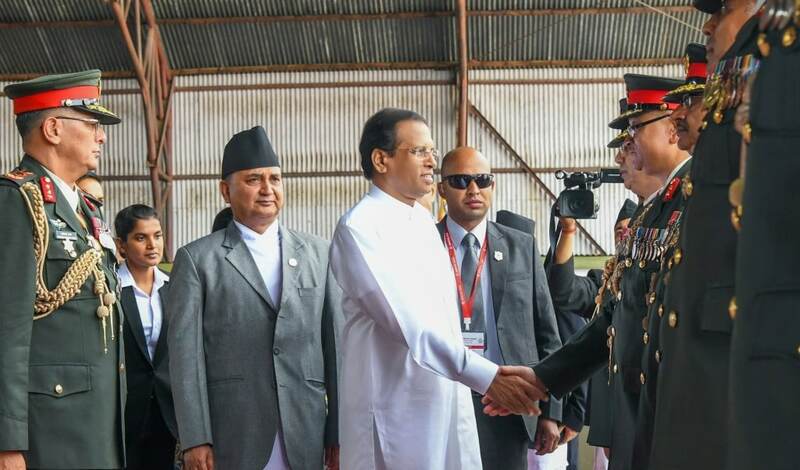 The President was received by the Nepali Deputy Prime Minister and Defence Minister Ishwar Pokhrel and senior officials. 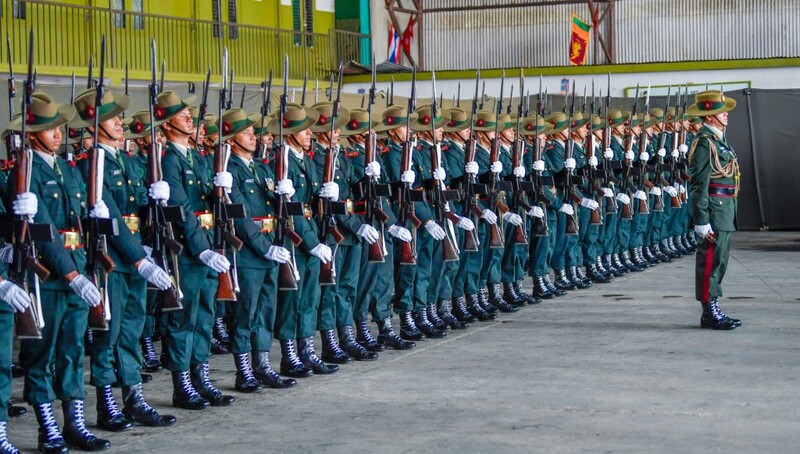 A guard of honour was held in Honour of President Sirisena. Both sides of the road where the President is travelling decorated with the national flags of both countries displaying the relationship between the two countries during the past 60 years. Following this welcoming ceremony the President engaged in a cordial discussion with the Prime Minister of Nepal. 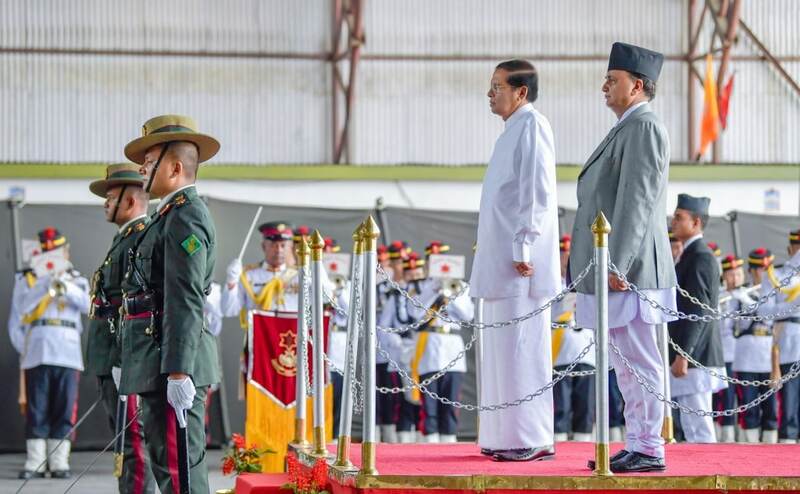 The Presidents of Sri Lanka and Myanmar, the Prime Ministers of India, Bangladesh, Nepal and Thailand and the Chief Advisor of the Bhutanese Government will be leading their respective delegations to the summit. The leaders are to adopt the 4th BIMSTEC Summit Declaration ‘Towards a Peaceful, Prosperous and Sustainable Bay of Bengal Region’ on 31 August upon the conclusion of the summit. At the conclusion of the summit, the Chairmanship of BIMSTEC will be handed over to Sri Lanka by the current Chair, Nepal. The President is scheduled to address the Summit on 31st. 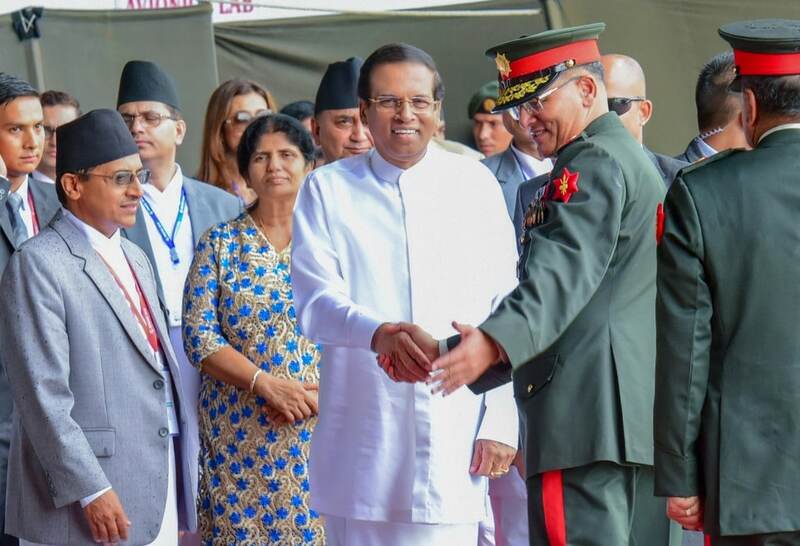 During his stay in Nepal, President Sirisena will meet with his Nepali counterpart President Bidhya Devi Bhandari and Nepalese Prime Minister Khadga Prasad Oli . 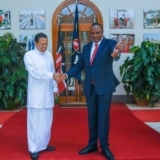 The President will also attend a banquet hosted by the President of Nepal in his honour. නේපාලයේ දී ජනපති හරසරින් පිළිගැනේ. බහුආංශික තාක්ෂණික හා ආර්ථික සහයෝගීතාව සඳහා බෙංගාල බොක්ක ප‍්‍රවේශය හෙවත් බිම්ස්ටෙක් (BIMSTEC) හතර වන රාජ්‍ය නායක සමුළුව සඳහා සහභාගිවීමට නේපාලය බලා පිටත්ව ගිය ජනාධිපති ගරු මෛතී‍්‍රපාල සිරිසේන මැතිතුමා අද (29) දහවල් කත්මණ්ඩු නුවර ති‍්‍රභුවන් ජාත්‍යන්තර ගුවන් තොටුපොළ වෙත ළගා විය. එහි දී ජනාධිපතිතුමා මහත් හරසරින් යුතුව පිළිගනු ලැබුවේ නේපාල නියෝජ්‍ය අග‍්‍රාමාත්‍ය සහ ආරක්ෂක අමාත්‍ය Ishwar Pokhrel මහතා ඇතුළු විශේෂ නියෝජිත පිරිසක් විසිනි. එරට රජයේ පූර්ණ හමුදා උත්තමාචාරය ජනාධිපතිතුමා වෙත පිළිගන්වමින් ඉතා අභිමානවත් අයුරින් එම පිළිගැනීම සිදු වූ අතර දෙරටේ ජාතික ගී ද වාදනය කෙරිණි. 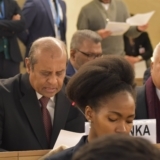 ජනාධිපතිතුමා පැමිණෙන මග දෙපස දෙරටේම ජාතික ධජවලින් ද සරසා තිබුණේ දෙරට අතර හැට වසරක අතීත මිතුදම මැනවින් කියාපාමිනි. මෙම පිළිගැනීමේ අවස්ථාවෙන් අනතුරුව ජනාධිපතිතුමා සමග නේපාල නියෝජ්‍ය අග‍්‍රාමාත්‍යවරයා සුහද කථා බහකට ද එක්විය. 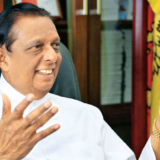 බිම්ස්ටෙක් රාජ්‍ය නායක සමුළුව හෙට සහ අනිද්දා කත්මණ්ඩු නුවර දී පැවැත්වෙන අතර මෙවර එහි තේමාව වී ඇත්තේ “බෙංගාල බොක්ක සාමකාමී සශී‍්‍රක සහ තිරසර කලාපයක්” බවට පත් කිරීම යන්නයි. බිම්ස්ටෙක් සමුළුව බංග්ලාදේශය, භූතානය, ඉන්දියාව, මියන්මාරය, නේපාලය, ශ‍්‍රී ලංකාව සහ තායිලන්තය යන දකුණු හා අග්නිදිග ආසියානු රටවල් 7 කින් සමන්විත කලාපීය හවුලකි. මෙහි ප‍්‍රධාන අරමුණ වන්නේ බෙංගාල බොක්ක ආශි‍්‍රත දකුණු ආසියානු සහ අග්නිදිග ආසියානු රටවල තාක්ෂණික හා ආර්ථික සහයෝගීතාව තුළින් සෞභාග්‍ය උදා කර ගැනීමයි. ජනාධිපතිතුමා 31 වනදා සමුළුව ඇමතීමට නියමිත ය. සමුළුවට සමගාමීව ජනාධිපතිතුමා නේපාල අග‍්‍රාමාත්‍ය කේ.පී.ඕලි සහ නේපාල ජනාධිපතිනි බිද්‍යා දේවි බණ්ඩාරි මහත්මිය සමඟ ද සාකච්ඡා පැවැත්වීමට නියමිත අතර එහිදී දෙරටටම වැදගත් අවබෝධතා ගිවිසුම් 02 කට ද අත්සන් තැබෙනු ඇත. එමෙන්ම ශ‍්‍රී ලංකාවට ආර්ථික හා සමාජීය ප‍්‍රතිලාභ උදාකර ගැනීම වෙනුවෙන් සමුළුවට සහභාගීවන රාජ්‍ය නායකයන් කිහිප පළක් සමග ද ජනාධිපතිතුමා ද්වි පාර්ශ්වික සාකච්ඡාවලට එක්වීමට නියමිතව තිබේ.